“If the kids in a rich suburb of Detroit had been drinking contaminated water, we would have done something about it.” That was Hillary Clinton’s comment about the poisoned water in Flint (MI) thanks to the man assigned by Gov. Rick Snyder to run the city. The horror in Flint started six years ago when businessman Rick Snyder was elected governor because he claimed to create jobs and run the government like a business—similar to what Donald Trump promises in his current presidential campaign. The purpose of business is to make money for the owners and cut costs by eliminating jobs; the purpose of government in a democracy is to make people’s lives better, not to profit off them. Business and government require different skills and philosophies, and Snyder is an example of this difference. When he was on the board of the computer company Gateway, it went from 21,000 U.S. workers to 7,400 in about a decade. Gateway no longer exists. Under Snyder, GOP legislators passed a law allowing the government to replace elected officials with an “emergency manager” picked by the governor. The manager makes all the decisions—just like in a business. The law was repealed by referendum in 2012 but replaced with a new law in a GOP-controlled legislative session that prevented it from being subject to a voter referendum. The first time that Snyder used his dictatorial powers was in Benton Harbor where a park had been deeded to the city in 1917 “in perpetuity.” The new emergency manager in 2011 took over part of waterfront park for a luxury golf resort, with the help of a development group. It’s board included the sponsor of the new law. That success of stripping elected officials of any powers for the benefit of private business moved on to Detroit, Flint, Highland Park, and other Michigan municipalities. Michigan residents couldn’t successfully protest the new dictator approach in its state, and the rest of the United States pretty much ignored the problem until MSNBC’s Rachel Maddow began to show the way that the new “business-like” system allowed massive amounts of lead in the city water that Flint residents pay to receive. Flint’s problem started almost two years ago when its manager “saved” $8.5 million over five years by switching the water source from Detroit through a pipeline to drawing water from the polluted Flint River. The acidic water that leaches lead and other metals from pipes could have been chemically treated to control corrosion, but the manager chose not to spend the $100 a day for that safety. For 18 months people complained about the taste and smell of the brown water piped into their homes while they got rashes and their hair fell out from showering in it. As any good businessman, the manager denied any problems and said that the water was fine. Not until Flint pediatrician Dr. Mona Hanna-Attisha compared blood test results for 1,746 Flint children before and after the change in water was any whiff of concern evidenced. Even then, Michigan politicians called her an “irresponsible researcher” who caused “near hysteria.” Not until a September 2015 study from Virginia Tech’s Marc Edwards did city officials admit there was something wrong with the water and told people not to drink it. People in Flint started in April 2014 to persuade the city to take action about the poisonous water. In May 2014, the city learned that trihalomethanes ( TTHMs) were above levels allowed in the Clean Water Act but didn’t tell residents for another eight months and didn’t change to safe water. In October 2014, GM noticed that the water was corroding engines and started trucking in water from outside the city. While Flint continued to deny any problems with the water, the governor’s office secretly ordered that Flint be supplied filters. The discrepancies between reports of toxicity in the water from the Michigan Department of Environmental Quality and the city of Flint during last year indicate a cover-up by the governor’s appointed manager. Snyder’s business-like approach became such a PR disaster that he started reluctantly thinking about a solution. Although he switched back to Detroit water last October, the damage to the pipes was most likely done by then. Snyder waited until Jan. 5, 2016 to declare a state of emergency and another week to mobilize the National Guard to distribute bottled water and water filters–starting with seven guardspersons—one per 14,285.7 people. Finally Snyder asked President Obama to declare a federal emergency. Through FEMA, taxpayers will pay up to $5 million for water, filters and cartridges and other items, but Snyder has been refused an additional $96 million because the Flint water crisis is not a natural disaster. Snyder, his emergency manager, and the GOP legislators who voted for a dictatorship caused the entire calamity, and Snyder finally admitted that he knew about the problems with water for several months, perhaps as much as a year. Yet in his State of the State speech this week, Snyder blamed the problem on “entrenched bureaucrats.” He also said, “Government failed you at the federal, state and local level.” The problems came entirely from a state decision to create a legislatively created dictatorship in Flint. Michigan residents elected their representatives who allow travesties such as the poisoning of water in one of its cities. As if the lead in the water wasn’t enough, an outbreak of Legionnaire’s disease in Flint, seemingly a consequence of Flint’s water, has hit 87 people. Ten of these people are dead. Yet Flint is still charging customers for the poisoned water and sending shut-off notices threatening to cut off their water if they don’t pay for it. In a peculiar coincidence, the office of the public works director who resigned last November during the developing crisis was broken into in late December. No one knows what was taken, and surveillance videos didn’t show anyone breaking into the office. Distressed by Clinton’s call to do something about Flint’s water, Snyder tweeted, “Political statements and finger pointing from political candidates only distract from solving the Flint water crisis.” He forgets that the problem was caused by politics and that without the growing transparency surrounding the “Flint water crisis,” people would still be receiving the brown, nasty water. Asked about the problem in Flint,” GOP presidential candidate Marco Rubio hemmed and hawed before he talked about not having an opinion because he hadn’t been briefed on it. At the same time, federal GOP legislators voted to overturn provisions of the Clean Water Act—the same provisions that they voted to repeal last June. As President Obama said about Flint while he was visiting Michigan, “It is a reminder of why you can’t shortchange basic services that we provide to our people and that we together provide as a government to make sure that public health and safety is preserved.” Flint is also a reminder of why people can’t run government like a business. Reversing the damage to the pipes will cost $1.5 billion. Reversing the brain damage and other health issues is impossible. Heckofajob, Snyder. And same to all your cohorts. Snyder has moved Darnell Farley, the emergency manager who switched Flint’s water from the Detroit system to the Flint River, to the new emergency manager of Detroit’s public schools. Here are a few photos of the Detroit schools. (More disgusting ones here.) We’ll see what Farley makes of this. At least seven people were killed and over 200 people were injured last night when Amtrak Regional 188 derailed in Philadelphia on its way to New York City. Today the GOP members of the House Appropriations Committee voted to reduce the Amtrak budget to $252 million, a 15-percent reduction from last year, despite the increase in Amtrak riders. Democrats on the panel lost the battle to boost Amtrak funding by $1 billion, to $2.4 billion. The wreck has shut down Amtrak’s route between Boston and Washington, its busiest and most profitable, for an indefinite time. 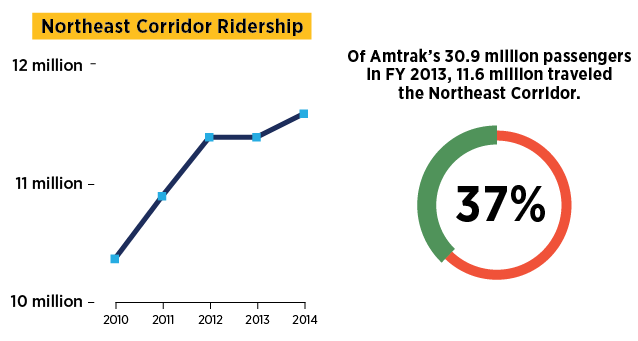 Every year for a decade, the route has broken ridership records. 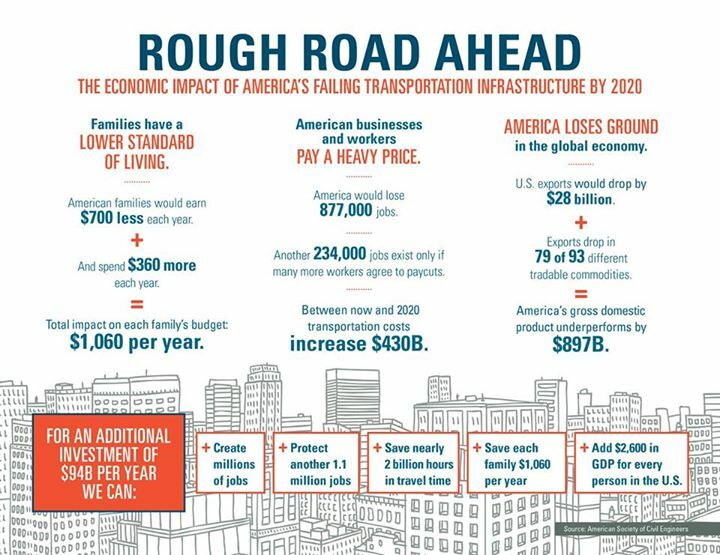 The workforce on these trains contribute $50 billion each year to the U.S. GDP. Yet, starved of funds to keep up with the increased demand, the Northeast Corridor has a backlog of repairs requiring $4.3 billion in 2019 while it expects $872 million because of dwindling federal funding. In this area Amtrak suffers with unrepaired bridges and tunnels dating over a century, “functionally obsolete” rail interlockings, and trains relying on 1930s-era components. The last time Congress managed to pass an Amtrak bill was in 2008 when a derailed commuter train killed 25 people and the GOP helped to fast-track the bill to George W. Bush. The GOP in this Congress argued that there was no reason to take the accident into consideration. Much has been said about the speed of the train and how money could not have stopped this possible reason for the wreck. Little has been said about how an advanced safety technology can prevent high-speed derailments. The “positive train control” (PTC) automatically slows or even halts trains that are moving too fast or heading into a danger zone. Under current law, the rail industry must adopt the technology by the end of this year. With the PTC, Amtrak 188 could not have reached the speed of 106 mph while approached the curve with a 50 mph speed limit. The current deadline for PTC installation is the end of 2015, but lawmakers are calling for long extensions. Last March, the Senate Commerce voted to extend the deadline to 2020. Passenger trains are not the only ones that are causing property destruction and the loss of human lives. Across the country, trains hauling oil, nicknamed “bomb trains,” derail, blow up into huge fires, and pollute the environment. Just weeks ago, the Department of Transportation released new rules designed to protect the country from exploding trains. Guidelines include sturdier new tank cars and retrofitted older cars that carry crude oil and ethanol, a better braking standard, and improved protocols on routing, speed, and information for local government agencies. Although the new bomb train rules might be well intentioned, a train using the new, so-called safer, tank cars exploded in North Dakota the week after the announcement of the guidelines. That explosion followed four others in the first three months of 2015 that spilled crude oil into drinking water supplies and blasted fireballs in the sky. Companies can also continue to use the older tank cars forever if trains have fewer than 35 or fewer than 20 in a row. The new mandated electronically controlled pneumatic brakes are good news, but trains don’t have to use them until 2021. The new speed guidelines would also not have prevented these train explosions. Mile-long bomb trains carrying three million gallons of explosive crude can continue to travel at more than twice the rated “puncture velocity” of even the new tank cars–50 mph except for “high threat” urban areas when they should drop their speed to 40 mph. Three of the first four explosive accidents in 2015 occurred at speeds below 35 mph, and the fourth was at 43 mph, only three miles over the new speed limit. While oil companies are responsible for the trains themselves, other companies are responsible for the railroads. Before 2009, fewer than 10,000 tank cars of oil were transported by rail each year in the United States. In 2012, that number increased to 230,000 cars and escalated to 430,000in 2013. CSX is a major company that owns 21,000 of railway in eastern U.S. Because fines are cheaper than maintenance, CSX fails to repair tracks and bridges. The 2014 derailment of 20 oil tankers, three of them going into the James River, cost CSX under $400,000. While bomb trains killing people, burning towns, and polluting the environment is horrible, the country has bigger problems. Of the 7,500+ nuclear weapons stored in the United States, many of them are located in North Dakota. 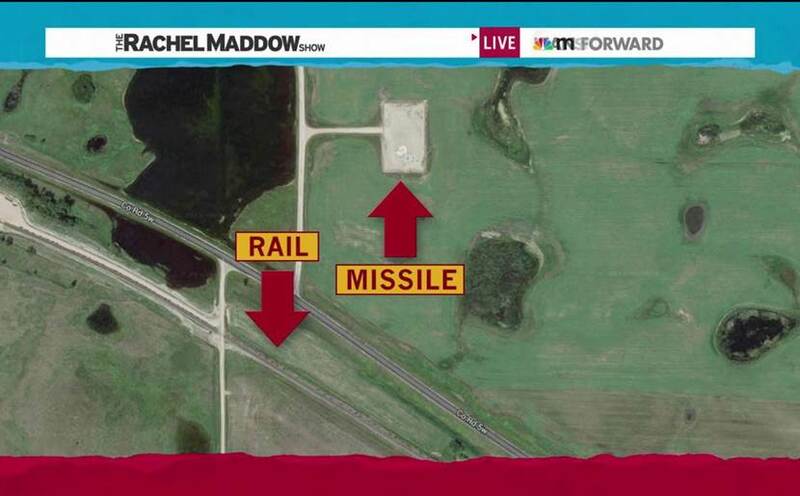 A 15-minute segment on The Rachel Maddow Show describes the deadly connection between missiles and the bomb trains. This website provides a map for bomb trains in the United States and shows the huge number of miles in North Dakota. One-third of the 150 loaded, primed and ready to fire missiles are in the Bakken oil field, that ships out millions of gallons of highly volatile crude oil on bomb trains. One of these missile bases is the site of a 2007 incident when six nuclear-tipped AGM-29 Advanced Cruise missiles were accidentally loaded on a B-52 headed for Barksdale AFB, the main staging base for B-52s flown to the Middle East. They were missing for 36 hours.